Podcaster: Host : Fraser Cain ; Guest : Dr. Ian O’Neill, MD, Dr. Kimberly Cartier, & Dr. Morgan Rehnberg. Curiosity sees 2 eclipses on Mars. 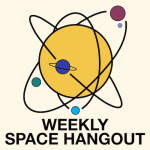 Special Guest: This week we welcome our good friend Dr. Ian O’Neill to the Weekly Space Hangout. Long time viewers of the WSH will recognize Ian from our early days when he was a regular contributor to the show. Ian has over a decade of experience as senior producer, writer, editor, and video host. Ian specializes in online digital content production and has written science articles, blogs and op-eds for companies such as Universe Today, Discovery News (now Seeker.com), Discovery Channel, Space.com, HowStuffWorks, Scientific American (SciAm), Al Jazeera English, and other online and print outlets. He is an experienced space science communicator, space technology enthusiast, and an outspoken human spaceflight advocate. Ian holds a Ph.D in solar physics and a Masters in astrophysics. To stay up to date with Ian and his writing, visit and register on his site at https://astroengine.com/. Please consider sponsoring a day or two. Just click on the “Donate” button on the lower left side of this webpage, or contact us at signup@365daysofastronomy.org. 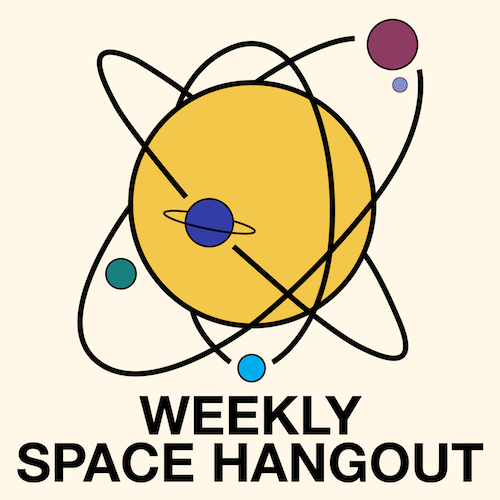 The 365 Days of Astronomy Podcast is produced by Planetary Science Institute. Audio post-production by Richard Drumm. Bandwidth donated by libsyn.com and wizzard media. You may reproduce and distribute this audio for non-commercial purposes. Please consider supporting the podcast with a few dollars (or Euros!). Visit us on the web at 365DaysOfAstronomy.org or email us at info@365DaysOfAstronomy.org. This year we will celebrates the Year of Everyday Astronomers as we embrace Amateur Astronomer contributions and the importance of citizen science. Join us and share your story. Until tomorrow! Goodbye!